Having a hard time deciding what to do with the dad in your life on Father’s Day? I’ve put together a list of unique, fun things to do this Sunday for Father’s Day in Boulder. Whether he loves brews, BBQ, classic cars, go karts or music, there are a ton of fun places to take Dad this weekend, in and around Boulder! Cost: Prices vary based on activity (admission is free) – view full pricing here. Gateway Park Fun Center is a dad’s dream come true (and so fun for kids too!). Opened in the 1980s, this park has maintained tons of original features, giving it an eclectic, old school feel that will bring you back to your childhood. Many activities include 18-hole mini golf courses — choose from the Windmill Course or the Castle Course, or play both!! The park also offers a full-size driving range for avid golfers. The park also offers bumper cars, as well as single-seat and double-seat go carts. Gateway is home to Boulder’s only batting cages, with a variety of pitch speeds for softball and baseball. The arcade is filled with different kinds of video and interactive games. Many of the games spit out tickets which can be traded in for fun prizes at the end of your visit. Gateway offers a snack bar as well as a picnic area. There are so many amazing local breweries, I couldn’t choose just one! Many breweries in and around town are offering awesome deals for dads this Sunday for Father’s Day. Oskar Blues Grill & Brew in Lyons is featuring BBQ shrimp, salmon, and andouille sausage with cheesy mac and coleslaw. Cans of Dale’s Pale Ale will be $2 all day. For the little ones, there will be plenty of delicious kid-friendly options as well as a bouncy castle! Boulder Beer is hosting a Pig Roast at the Pub to honor dad for Father’s Day! $14/ plate includes smoked pork, two sides, BBQ black beans, macaroni salad and Chef Logan Wolff‘s homemade biscuits! FATE Brewing Company is celebrating father’s day by offering every dad one free core beer pint. Every father. All day. Wonderland Brewing in Broomfield is offering a free beer to all dads on Father’s Day. 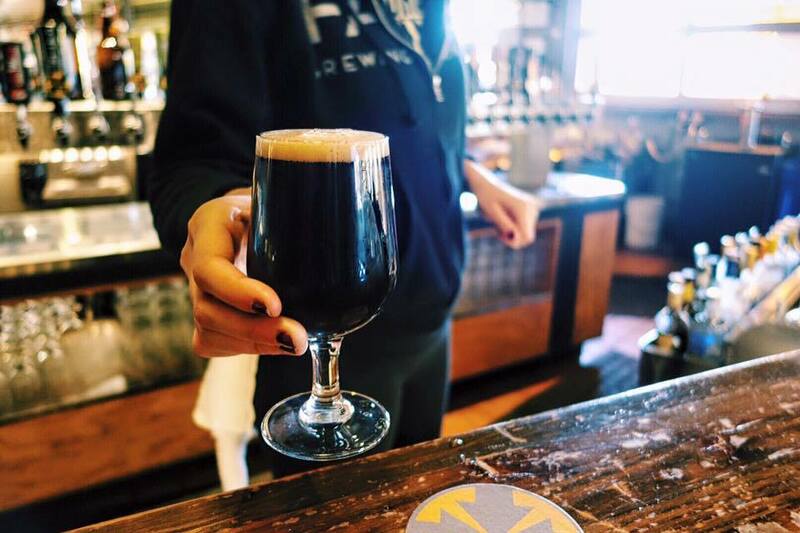 Deals or no, Boulder has a long list of amazing breweries. Click here for the full list. Hazel’s Beverage World is hosting the Show & Shine Car Show in the parking lot this Sunday for Father’s Day. This is a family friendly event, open to the public with free food provided by MillerCoors. Have a car that you want to show? Classic, muscle, custom, new performance, and special interest cars welcome, no registration required. Participants are asked to display for a minimum of 2 hours. As a thank you for showing your car, show participants will receive a Hazel’s gift card. Drive-By Truckers have always been outspoken, telling a distinctly American story via craft, character, and concept, all backed by sonic ambition and social conscience. Founded in 1996 by singer/songwriter/guitarists Mike Cooley and Patterson Hood, the band have long held a progressive fire in their belly but with “American Band,” they have made the most explicitly political album in their extraordinary canon. On Saturday night, Drive-By truckers will be performing with Boulder’s own Rose Hill Drive at Chautauqua Auditorium. Every dad I know loves some great BBQ… If you and dad aren’t up to grilling this Father’s Day, don’t worry — there are plenty of amazing BBQ spots in and around Boulder! Here are some of our favorites, listed by city. A Colorado original and a Boulder favorite for over 20 years, KT’s BBQ serves Memphis-style BBQ with peppery vinegary sauce and amazing homestyle sides. Take Dad for an early Father’s Day meal this Saturday (KT’s is closed on Sundays!). My dad’s favorite is the hot link sandwich! KT’s BBQ is located in Boulder at 2660 Broadway, Boulder, CO 80304 & 7464 Arapahoe Rd, Boulder, CO 80303. Moe’s Original BBQ serves quick Southern-style BBQ with rotating sides, so you can try something new every time. Located near campus at 675 30th St, Boulder, CO 80303. LuLu’s BBQ in Louisville is a casual sit-down restaurant, serving Texas-style BBQ with a TON of amazing sides to choose from including fried okra, potato salad, corn bread and so much more. Lulu’s also has a full bar – ask for the amazing Texas slush! Great spot for bringing the kids, Lulu’s has a kids menu that includes kids favorites like hot dogs, mac and cheese and pb&j as well as a BBQ option. Located at 701 Main St, Louisville, CO 80027. If you want some Wayne’s Smoke Shack – True Texas BBQ this weekend, you’ll need to take Dad for an early Father’s Day lunch as Wayne’s isn’t open Sundays. This lunch-only chain is hugely popular for its Texas-style sold-by-the-pound meat. Located at 406 Center Dr, Superior, CO 80027. My husband recently tried the new UTurn BBQ in Lafayette, and was blown away by the taste as well as the amazing portions and sides that come along with a meal. UTurn offers a selection of American BBQ styles, try their Texas Brisket, Carolina Pork, Southern Chicken, or Kansas Rib. While you are there, treat Dad to a fresh brew from UTurn’s own in-house brewery. Did I mention they have a drive-thru?? Located at 599 Crossing Dr, Lafayette, CO 80026. The Rib House has been serving mouth-watering Kansas City-style BBQ in Colorado for over 16 years. Try the award-winning Tracy’s Illegal Pork Babyback Ribs, and don’t forget my favorite specialty, the mac and cheese wedges. The Rib House also has a ton of amazing desert options. Located at 1920 S Coffman St, Longmont, CO 80504. Take Dad for an early Father’s Day meal this Saturday (KT’s is closed on Sundays!) at the Broomfield KT’s BBQ,serving the same Memphis-style BBQ with peppery vinegary sauce and amazing homestyle sides as the original restaurant in Boulder. My dad’s favorite is the hot link sandwich! KT’s BBQ is located in Broomfield at KT’s BBQ, 799 US-287, Broomfield, CO 80020. Another Colorado original, brothers Chris and Nick O’Sullivan run Brother’s BBQ featuring a variety of American BBQ styles. Try the pulled pork or hot link sandwich paired with your choice of BBQ sauce. Kids will love the mac and cheese. There is even a vegetarian option! Tofu BBQ sandwich.And the fries are incredible. Located in Broomfield at 565 US-287, Broomfield, CO 80020.